At Bay Point Wyndham Golf Resort and Spa, you can play some of the best courses on the Florida Panhandle without having to leave the resort. Golf lovers flock to our Panama City Beach resort, which is home to two spectacular 18-hole golf courses. Both golf courses are carved from the Panhandle’s natural terrain of scrub oaks, pines and saltwater marshes. You’ll find each golf course layout unique, challenging and definitely unforgettable. At Bay Point Golf Club, we offer preferred rates to all Bay Point Resort guests, on both of our award-winning 18-hole championship courses. You can choose from either the Meadows Country Club style course or the exciting Nicklaus Design Course – the only Nicklaus Design Course in Northwest Florida – or you can play them both! 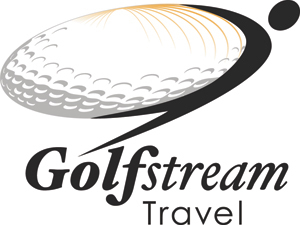 For tee times contact, (850) 235-6950. The Meadow Course at Bay Point is pure country club, the kind of golf course members enjoy playing day after day and visitors return to year after year. Its occasionally tight fairways, numerous bunkers and lakes provide an ever-changing set of challenges. Boasting 6,913 yards, it has the length to test the best golfer's distance. Even its advanced tees offer challenge as seen in handicap ratings which range from a 73 at the Ladies' Tees to a 73.3 at the Championship tees. There's plenty of challenge here and a consistent demand for length, accuracy and playing strategy. 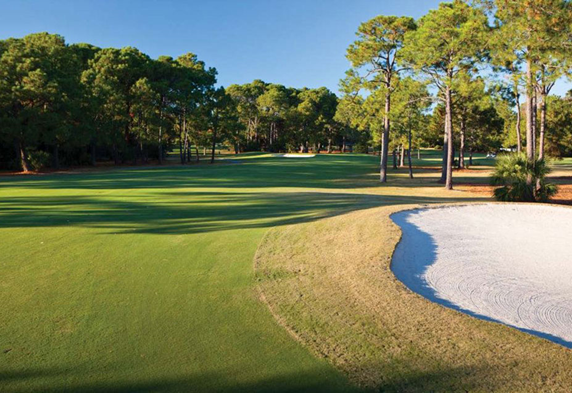 The Nicklaus Course at Bay Point is the first and only Nicklaus Design course in Northwest Florida. This award-winning course was formerly known as Lagoon Legends (one of the toughest and most challenging courses in America). The course was redesigned and renovated from 2004-2005 and re-opened under its new name, the Nicklaus Course at Bay Point on September 17, 2005. The Nicklaus Course opened to rave reviews and was named by Travel + Leisure Golf as one of the most worthy redesigns and notable debuts in the state of Florida. It was also a finalist for the “2005 Renovation of the Year” by Crittenden Golf Inc. The Nicklaus Design Course is truly of epic proportion. It measures more than 7,000 yards with a slope rating of 143 and a course rating of 75.3. The layout lends itself for a truly memorable round, regardless of skill level. It plays along the natural terrain of majestic scrub oaks, towering Florida pine trees, and salt-water marshes. The layout features “illusionary” bunkers that are strategically placed to tempt golfers through a “risk/reward” scenario and uncharacteristic elevation changes that are unique to Northwest Florida. Many holes are quite memorable. Hole No. 17 features a green design reminiscent of a “fish bowl,” where the green is actually recessed below the surrounding landscape, creating a challenging semi-blind shot to the green. The signature hole, No. 5 offers spectacular panoramic views of the Grand Lagoon and St. Andrews Bay. Bay Point Wyndham Resort offers 60 one and two bedroom golf villas. Our golf villas offer a quieter experience set away from the main building. Choose from a one bedroom king or double bed, a double connector or a king connector. The golf villas offer the suite experience with a parlor and a kitchenette. In the parlor you'll find a wet bar sink, mini fridge, microwave and the sleeper sofa can accommodate extra guests if need be. With private patios and great views of the surrounding golf courses, you're sure to get away from it all. Bay Point Wyndham offers the entire resort experience right at your fingertips! Make the most out of your stay in Panama City Beach. Breakfast: Mon. - Fri. from 6:30 A.M. - 11:00 A.M; Sat. - Sun. from 6:30 A.M. - 12:00 P.M. Lunch: Every Day 11:00 A.M. - 5:30 P.M.
Dinner: Every Day from 5:30 P.M.- 10:00 P.M.
Sushi Bar: Every Day from 5:30 P.M. - 10:00 P.M. Lounge: Every Day from 11:00 A.M. - 11:00 P.M.
CLUB 19 BAR & GRILL - Located at Bay Point Golf's Clubhouse - Currently CLOSED for renovations. Scheduled to reopen early 2015! Happy Hour 12:00 P.M. - 3:00 P.M.
All Pool Hours are from 8:00 AM – 10:00 PM; Towels are available at pool hut or front desk. Club House Hours of Operation: 7:00 A.M. – 6:00 P.M.
Driving Range open from 7:00 A.M. – 6:00 P.M.
Gym, Sauna, and Locker Room: Mon. - Sat. from 7:00 A.M. – 7:00 P.M.
Open Mon. - Thu. from 8:00 A.M. - 6:00 P.M.
Fri. and Sat. from 8:00 A.M. - 4:00 P.M. When you dine at Bay Point Wyndham Golf Resort and Spa in Panama City Beach, you can count on two things: incredible food and a breathtaking view! Our resort is known for some of the best dining in Panama City Beach, whether you’re looking for fresh sushi, fried seafood or mouthwatering burgers. Our bayside restaurants not only have the freshest Florida seafood, but they’re also the perfect place to watch the sunset. Enjoy a margarita on the patio while soaking up some rays or have a romantic dinner overlooking the water. We have three casual restaurants located within the resort, each with unique style to satisfy everyone’s taste buds. Enjoy the bold flavors of Kingfish Restaurant & Sushi Bar in a casual environment that showcases beautiful views of St. Andrews Bay. The view is matched only by the luscious creations from our award winning culinary team. Arguably, the favorite gathering spot for Panama City Beach visitors and locals is Pelican's. This water-bound, open-air beach bar – with its tin roof and sprawling docks – welcomes a happy, hungry crowd ashore from their waverunners and pontoon boats, yachts, and sailboats. Bay Point Wyndham Resort overlooks the protected waters of St. Andrew's Bay and offers its guests a relaxing location in Panama City Beach, Florida that comes with no shortage of activities for its guests. The resort has 316 individually appointed guest rooms, including 60 one- and two-bedroom golf villas as well as spacious guest rooms with views of the bay. Some of the amenities include in-room dining, coffee and valet parking. The resort features a 12,000-square-foot full-service spa and salon at Serenity Spa, two 18-hole championship golf courses, five clay tennis courts, three outdoor pools and one indoor pool, complimentary boat shuttle rides to and from the beaches of Shell Island and more. The Bay Point Wyndham Resort offers three "resort casual" restaurants -- all with views of St. Andrews bay. They include the Kingfish Restaurant & Sushi Bar, Lime's Bayside Bar & Grill and Club 19. For meetings, the facility advertises itself as a "first-class conference center" that can handle large conventions up to 700 as well as smaller meetings of only 10. Bay Point's 40,000 square feet of event and meeting space includes two large ballrooms, boardrooms and outdoor catering venues. The featured golf layout is the Nicklaus Design Course, which is a par 72 that plays to 7,100 yards and is the only Nicklaus Design course in Northwest Florida. There's also the par-72 Meadows Course, which was renovated in 2004 and plays at 6,913 yards from the tips.